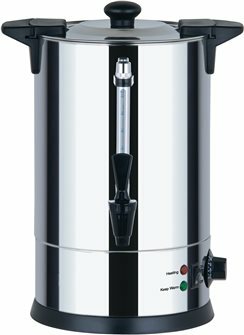 Intelligent coffee percolators with two separate heating systems for percolating or maintaining temperature, filling level, safety thermostat, non-drip tap. 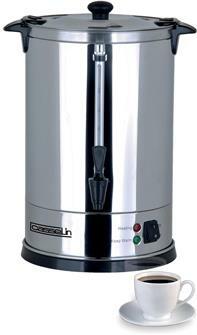 Quality stainless steel material with double anti-burn interior and stainless steel filter. Models for 48, 60 or 100 cups. 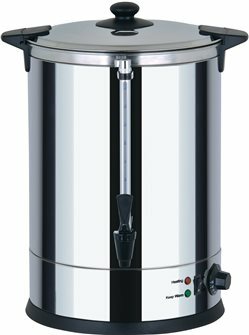 Coffee percolator with a 6.8 litre or 48 cup capacity. 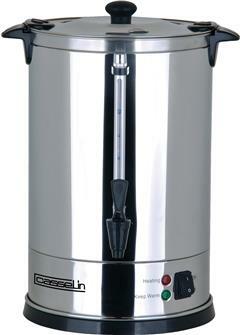 Hot water dispenser 20 liters double wall stainless steel. Also suitable for mulled wine and hot drinks.